Basic laws and basic pride. Why do the Arabs reject the legitimacy of Israel as the State of the Jewish people? The answer to this question transcends politics. Indeed, it is somewhat mysterious. Beginning on the level of politics, there are two ways by which a state may obtain legitimacy, de jure and de facto. In democratic times, de jure legitimacy is usually based on popular ratification of a state’s Constitution. Moreover, those who draft the Constitution should derive their authority, directly or indirectly, from the people. Now, it happens that Israel does not have a written Constitution. Instead, it has a hodgepodge of Basic Laws enacted intermittently by the Knesset. 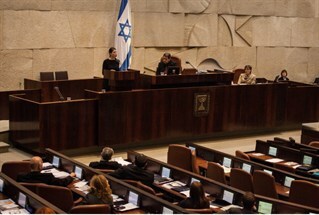 Israel’s first Basic Law: The Knesset, was enacted in 1958, ten years after the founding of the State. Until then, there was no fixed term or tenure for the Knesset. Each session determined its own longevity! Another Basic Law: Israel Lands (1960), provides that ownership of state lands may not be sold or transferred to non-state owners, which places in the transfer of land to the PLO-Palestinian Authority. Be that as it may, since only about five percent of the land in Israel is private property (contrary to the rabbinical principle that “there is no Jew who does not own four cubits in the Land of Israel”), and since the law defines “lands” as including “houses, buildings, and everything that is permanently connected to the land,” Jews are little more than tenants of the State. Indeed, judging from the manner in which various Israeli governments have surrendered Jewish land to the Palestinian Authority, it would seem that the Land of Israel belongs not to the people of Israel but to their rulers. So much for Basic Law: Israel Lands. Some other Basic Laws and their initial dates are: The President of the State (1964); The Government (1968); The State Economy (1975); The Army (1976); Jerusalem, Capital of Israel (1980); The Judiciary (1984); The State Comptroller (1988). A most significant aspect of Israel’s Basic Laws is that their passage does not require the affirmative vote of even a majority of the Knesset’s membership. In fact, Israel’s most significant Basic Laws: Human Freedom and Dignity, was enacted by a vote of 32-21, hence with less than half of the Knesset’s membership voting! Nevertheless, this hodgepodge of Basic Laws is deemed the equivalent of a “Constitution”! Be that as it may, this so-called Constitution has never been ratified by the people—the practice of democratic states. One may therefore wonder about the legitimacy of Israel’s government? Is it de jure or de facto? The people of this country do not really know. How could they without a bona fide constitution which they were called upon to ratify by lawfully authorized representatives? Here I must emphasize a fact hardly known to most of the people of this politically misguided nation, that the Proclamation of the State of Israel of 1948 prescribed a Constituent Assembly to draft a Constitution. The Assembly was elected and appointed a Committee to draft a Constitution for the fledgling State. 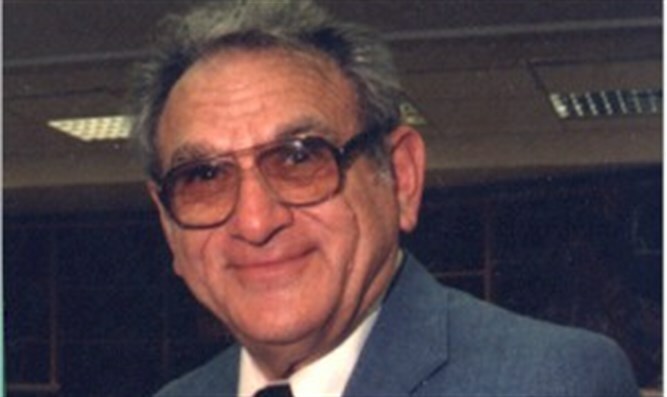 A draft Constitution was submitted to the Committee by Dr. Leo Kohn, but never came to pass. It failed passage because the representatives of the secular parties, which dominated that Committee, objected to the provision that the President of the State had to be Jewish. The secularists objected that such a provision was or would be deemed racist! Now we can begin to understand the arcane reason that Arabs refuse to recognize the legitimacy of Israel as a Jewish state. Why should they when Israel does not have a bona fide constitution—a constitution that has not only been ratified by the people, but one that is distinctively Jewish? On the other hand, is some sort of mystery at work in Israel? Perhaps it’s this: The recognition of Israel’s legitimacy as a Jewish state by the Arabs requires the rulers of this state to act like proud, Torah-oriented Jews. The defining and paramount goal of Torah-oriented Jews is not mere security—the uninspiring bourgeois goal of Israel’s current Prime Minister. To have a place among nations preoccupied with comfortable self-preservation is not the reason for Israel’s existence. No! No! Israel differs from every other nation because, like no other nation, Israel was created to reveal the infinite wisdom, power, and graciousness of God in every domain of existence. The fulfillment of this exalted goal requires the establishment, in the Land of Israel, of a Torah-oriented Government, one who’s Constitution presents to mankind the model of a nation in which freedom dwells with righteousness, equality with excellence, wealth with beauty, the here and now with love of the Eternal.